Sat, 14 Nov 2015 01:57:09 -0800WeeblyWed, 11 Nov 2015 19:12:31 GMThttp://www.oldsleaford.org.uk/dig-diary/dig-diary-days-13-14-9th10th-november Sherd from a Roman ceramic sprinkler - inscribed with a partial alphabet. Once of only a handful discovered in Britain! ]]>Mon, 02 Nov 2015 20:00:38 GMThttp://www.oldsleaford.org.uk/dig-diary/dig-diary-day-5-1st-november A roman 'hairpin', poss. 2nd/3rd century, found on Sunday by a younger member of the group! Thursday July 23rd 2015 was National Archaeology Day. In Lincolnshire, a number of local groups, including OSHG, had stalls in The Collection, the impressive museum in Lincoln. For us, the finds on display caused much discussion, especially the Iron Age coin moulds from earlier Old Sleaford excavations. Over 600 people of all ages visited the Collection during the day. Many leaflets were taken and lively discussions ensued. It was good to talk to the other Groups present and take in their thoughts and ideas. From those discussions it was clear there is a great interest in the archaeology of the county and a large group of active participants to tap into. Aside from the stalls, talks were delivered throughout the day. 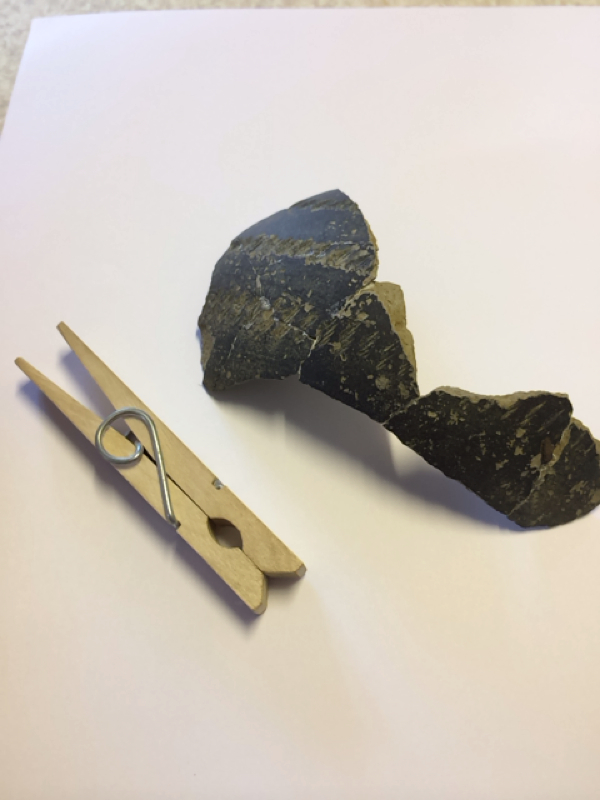 Ours outlined what is special about the archaeology of Old Sleaford, its continuity of settlement through time, its special finds, including the coin moulds, and the importance of the small undeveloped oasis of archaeology that is the focus of our forthcoming research. We have the site and the enthusiasm to investigate it and its surroundings, the community at large is out there, with many willing to participate and raring to get started. The paperwork is being put in place that will enable further works to take place. A soon as all that is approved we will be out there investigating this fascinating and historic piece of Old Sleaford. An undeveloped piece of land at Old Place, Boston Road, Sleaford will soon reveal its archaeological secrets thanks to a £56,700 grant from the Heritage Lottery Fund (HLF). Last year members of Old Sleaford Heritage Group (OSHG) opened up a trench to locate the site of an old fountain known to be on the land prior to the 1980s redevelopment of the area, But when they dug deeper they uncovered what they now know to be an undisturbed Roman site. “This part of Old Sleaford is rich in evidence of Iron Age, Roman and later occupation and this bit of land is one of the last areas available for excavation” said OSHG’s Dale Trimble (Chairman, OSHG). “Test pits were dug in May and revealed both Roman and Medieval finds. The HLF grant will pay for professional archaeologists to work alongside the group’s in-house experts and will help with the procurement of essential tools and equipment for the volunteer members of the team. A rented unit at Navigation Yard will act as the dig’s HQ and workshop, and where finds will be stored and displayed. Explaining the importance of the HLF support, Vanessa Harbar, The Head of HLF in the East Midlands said ““This is an exciting opportunity to uncover what lies buried in the grounds of Old Place and what these finds may be able to tell us about the history of the area. We particularly applaud efforts to involve as many people as possible in archaeological activities and encourage everyone with an interest to get involved. 1. Old Place, Boston Road, Sleaford lies near to the site of a Medieval manor house owned by Sir John Hussey, and within the limits of the Roman Town and close to an Iron Age Mint. 2. 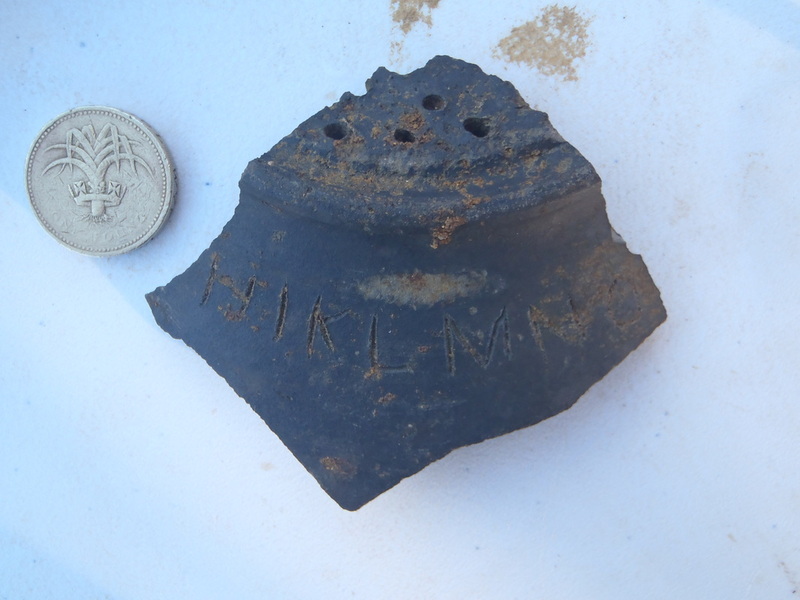 A number of excavations from the 1960s onwards have recovered evidence from around 50BC and up to the Roman invasion in AD43 that shows Sleaford’s inhabitants were minting coinage and importing continental pottery. Archaeologists believe that at this time Sleaford was a sub-capital of the local Iron Age tribe Corieltauvi. 3. 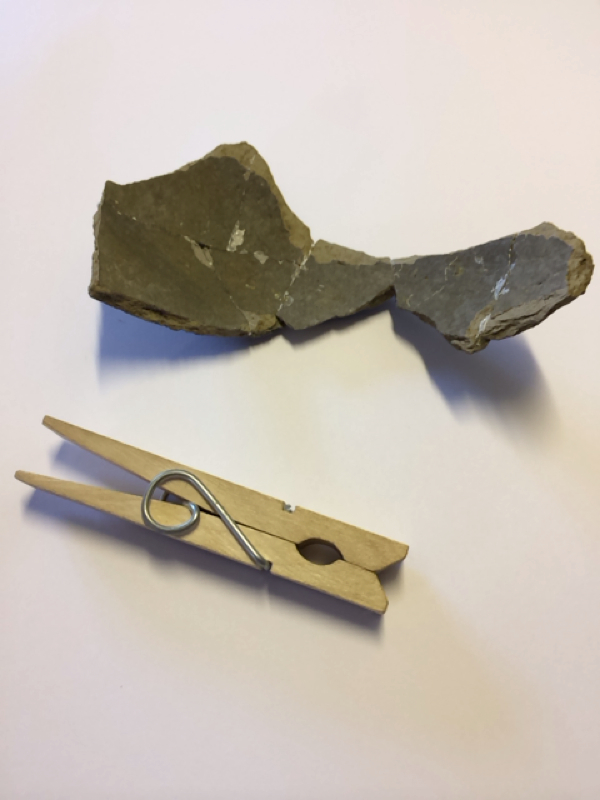 OSHG was founded in January 2014 and officially launched in April that year at the National Centre for Craft and Design (NCCD), an event that was attended by Channel 4's Time Team expert Francis Pryor. 4. The group meets at the NCCD at 7.00 p.m. on the first Tuesday of every month and regularly holds talks on a variety of archaeological/heritage subjects. Can&apos;t believe it&apos;s been over a year since we dug the first test pit at the &apos;new&apos; Old Place site! That said, we have to wait just one more week before the decision is made on our application for Heritage Lottery Funding!! !